When Mitt Romney lost the presidential election in 2012, pundits declared his time in politics over. But the 71-year-old Republican is not finished in politics just yet. After Sen. Orin Hatch of Utah announced in January that he would retire at the end of his term this year, rumours started swirling that Romney would run for his seat. And in February, he officially threw his hat into the ring. 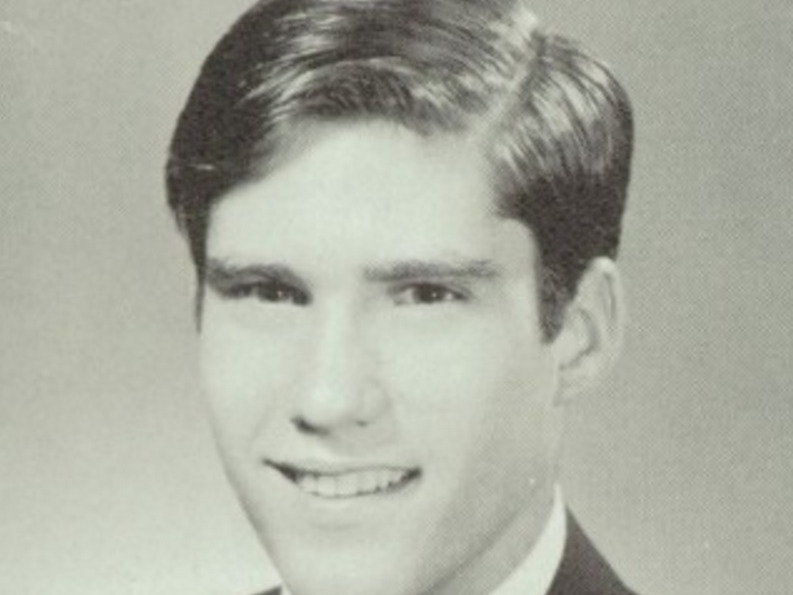 Willard Mitt Romney was born on March 12, 1947, in Detroit, Michigan. He was introduced to politics at an early age. 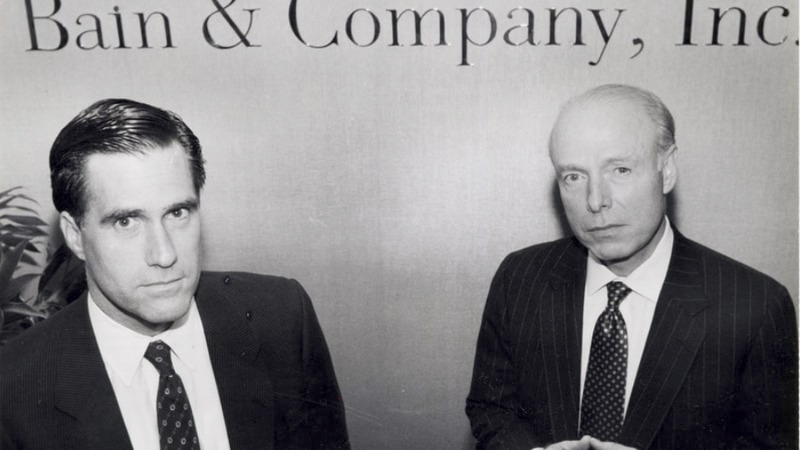 His father, George Romney, served as the governor of Michigan and the secretary of Housing and Urban Development under President Richard Nixon. He started attending Stanford University in 1965. He would ultimately graduate from Brigham Young University with a B.A. in English. In the late 1960s, he spent nearly three years as a Mormon missionary in France. Romney would eventually become the first Mormon to represent a major party in his run for president in 2012. He started dating Ann Davies in high school. They got married in 1969 and have been together ever since. Together, Ann and Mitt have five sons: Tagg, Josh, Matt, Craig, and Ben. Ann has helped, in part, to drive Mitt’s political ambitions. In 1993, she reportedly urged him to run for the US senate. Justine Schiavo/The Boston Globe via GettyMitt Romney at Bain Capital. In 1994, he made his first foray into politics, challenging Democratic Sen. Edward Kennedy for his seat in Massachusetts. Romney ultimately lost and returned to the private sector. 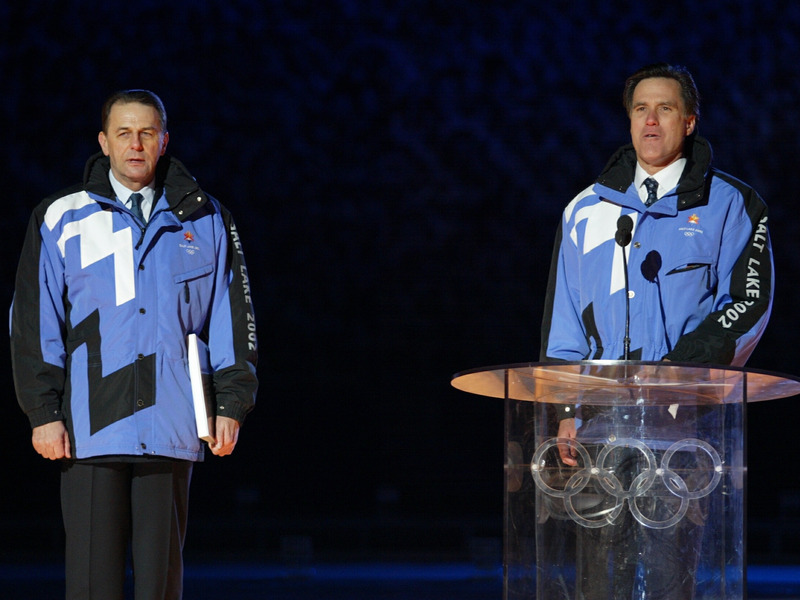 In 2002, Romney made a return to public service to head the struggling Salt Lake Organising Committee for the Olympic Games in Utah. He helped turn the organisation around and used his success as proof of his leadership abilities while running for political office. Jed Jacobsohn/GettyInternational Olympic Committee president Dr. Jacques Rogge (left) and Romney speak during the Opening Ceremony of the Salt Lake City Winter Olympic Games in Utah. After his stint running the Olympics in Utah, Romney ran for governor of Massachusetts. He ultimately defeated his democratic opponent, Shannon O’Brien. Romney served one 4-year term as governor. In 2006, Romney signed a health reform bill into law. So-called “Romneycare” required Massachusetts residents to either buy a plan or pay a fine. The law ironically became a source of controversy during the 2012 election amid President Barack Obama’s attempts to implement the Affordable Care Act, which included a similar individual mandate provision. 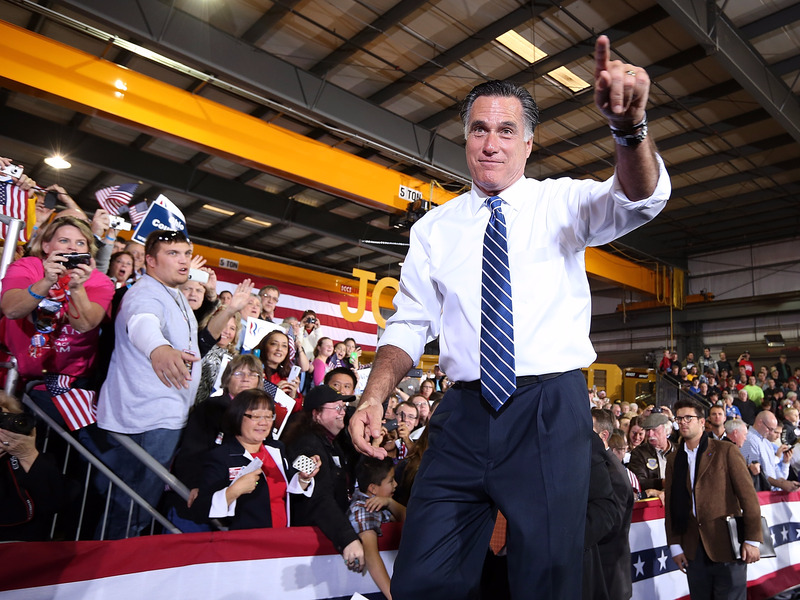 As governor of a mostly left-leaning state, Romney projected himself as a moderate Republican. In 2008, Romney ran for president. He lost to John McCain during the Republican primaries. Following McCain’s defeat, support for Romney eventually propelled him to the top of the Republican ticket in the 2012 presidential race. 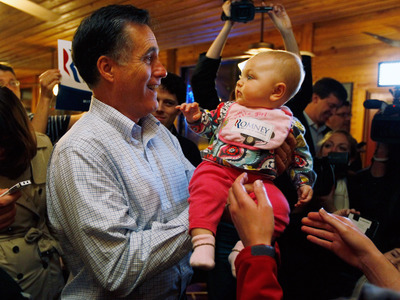 Joe Raedle/GettyRomney holds a baby as he visits Hudson’s Smokehouse on January 18, 2012, in Lexington, South Carolina, during the 2012 campaign. But Romney had trouble connecting with voters. Many viewed him as elitist and privileged because of his work in private equity and decades in politics. During the campaign, a video leaked of Romney calling 47% of American voters “entitled” and “dependent upon the government,” further damaging his image. The infamous ‘47% comment’ plagued Romney’s campaign. Obama handily won reelection. After the election, Romney kept a relatively low profile as most defeated presidential candidates tend to do. In 2015, he reemerged in a charity boxing bout with five-time heavyweight champion Evander Holyfield. As the 2016 presidential election approached, rumours swirled that Romney was considering a third run for higher office. Everything changed when Donald Trump announced his candidacy. Romney dialed back his anti-Trump rhetoric after Trump won the election. 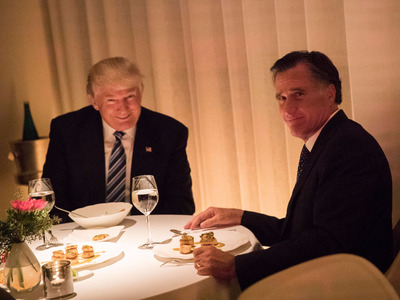 During the presidential transition, Romney had a private dinner with Trump, fuelling speculation that he might be appointed to a position in the president’s cabinet. Drew Angerer/GettyPresident-elect Donald Trump and Mitt Romney dine at Jean Georges restaurant, November 29, 2016 in New York City. After Sen. Orin Hatch of Utah announced he would retire at the end of his term, rumours indicated that Romney was considering a run for the soon-to-be vacant US senate seat. 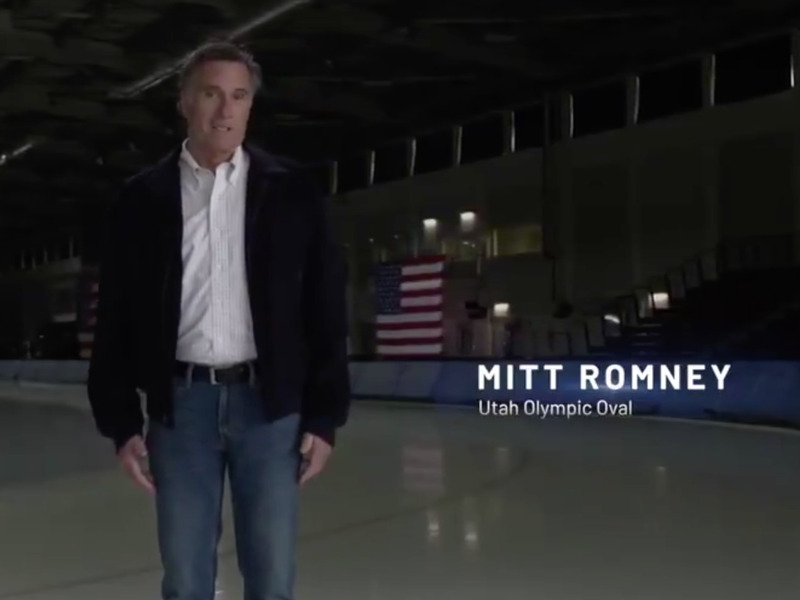 In a campaign video released February 16, Romney officially announced his candidacy. “I am running for United States Senate to serve the people of Utah and bring Utah’s values to Washington,” he said in a tweet. Republicans have lined up to support the GOP hopeful. Though the pair have a checkered past, Trump tweeted his support. And he’s gone all out to campaign across Utah ahead of the Republican primary in June and the midterm elections in November.